There have been many attempts to reform the Labor Law and bring it up to date. This is a highly charged political issue in Mexico, which leads one to ask. How has this reform been made possible after so many attempts? Helping to make possible this reform was another reform on August 9, 2012 to Article 71, section I of the Political Constitution of the United Mexican States. All new laws in Mexico go through a creation process before becoming law which is established in the Constitution. This process is detailed in the aforementioned Article 71 and consists of 5 stages. a) INITIATIVE: An initiative can be presented by the President, the Senate, Congress (Diputados), the legislators of the States, as well as by Citizens, and can be presented to either of the Chambers (Senate or Diputados) and that Chamber will be referred to as the "Camara de Origen" or the Chamber of Origin. b) DISCUSSION: The Chamber of Origin passes the Project to the "Camara Revisora" or the Reviewing Chamber (the other Chamber of Congress) for its discussion. 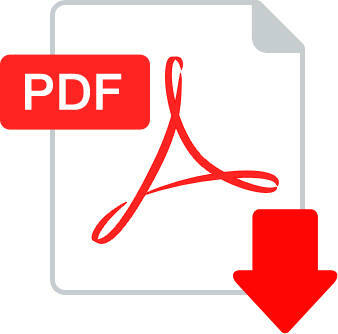 c) APPROVAL AND SANCTION: Once the Initiative is approved by both Chambers it is sent to the President who can reject and send it back or approve it and send it to be published in the DOF - Diario de la Federaci�n (Daily Periodical of the Federation). The President has 10 days to respond. If he does not respond, the initiative is considered as approved and the President of the Chamber of Origin will order the publication within the following 10 calendar days of the Initiative in the DOF. The reform to Article 71 incorporated a new fast track for Presidential Initiatives. This "Iniciativa de Tr�mite Preferente" (Process of Initiative with preference) gives the President the authority to introduce to the first session of Congress up to two initiatives of Preference. These must be discussed and voted on in a maximum period of 30 calendar days. President Calder�n presented an Initiative of Preference for a reform of the Federal Labor Law to the Chamber of Diputados which approved it in part and sent it to the Senate which also approved it on November 13, 2012 and sent it to the President for publication. The publication of the reforms in the DOF is the last official act as outgoing President. The new President took the oath of office on December 1, 2012. This reform is a major overhaul or updating of the Federal Labor Law, some of the reforms merely update the Labor Law with the actual practice. 1. The incorporation of the idea of "decent work" promoted by the International Labor Organization (The UN specialized agency which seeks the promotion of social justice and internationally recognized human and labor rights.) which among others are the respect for the human dignity of the worker, the no discrimination for reasons of gender, sexual preference, disability, race or religion, access to Social Security, an appropriate salary, continuous training and qualification for increasing productivity, occupational health and safety, freedom of association, union autonomy, the right to strike, collective bargaining. 2. New types and ideas for the contracting of workers, test periods, initial qualification contracts, seasonal work for the purpose of attending to the circumstances that prevail in the modern global market. These ideas are formalized in the Labor law with the idea of bringing, principally women and young people, into the formal work market. These new types of contracting establish the rules and time non-renewable time periods for the test periods and initial qualification contracts so that they cannot be applied on more than one occasion to a worker. 3. The regulation of Sub-contracting and Outsourcing, for the purpose of avoiding compliance to the obligations of an employer. This firmly establishes the legal responsibility for all parties involved in this type of employment. 4. The defining the employment of minors under 14 years old as a crime outside of the family circle. 5. The granting of greater protection and legal security to Mexicans that are going to work outs of Mexico. This sets the stage for intergovernmental cooperation and regulation of Guest worker programs that involve Mexican workers. 6. The establishment of a mechanism for communication a notice of the rescission of a labor contract by the Employer to the Worker, for the purpose of avoiding the necessity of proving in court that the worker refused to receive a notice of rescission. 7. The inclusion of a new cause for rescission of a labor contract without responsibility for the worker, when the employer requires the employee to execute acts, conduct or behavior that infringes on his rights or dignity. Expressly prohibits discrimination for gender. Prohibits sexual harassment and punishes those involved in such conduct and defines greater responsibility for the employer. Permits women greater leeway to distribute the 12 weeks maternity leave. 9. The reform permits payment by bank cards, debit card, transfers or any other electronic method. This updates the law to conform with the actual practice. The labor law formerly required payment in cash. 10. The reform establishes a limit on the back pay period, the period between the dismissal of the worker and the conclusion of the judicial process, in order to combat the practice of prolonging labor disputes. It now will be limited to one year. 11. The reform promotes the multi or cross training of workers. This permits more leeway to train a worker for many different tasks and removes the barriers for moving labor to where it is needed in a company. 13. The reform requires employers to coordinate with labor authorities for contingencies and emergencies. 14. The reform brings the law in line with Supreme Court jurisprudence on the subject of Profit sharing, for the exemption of employers that have been granted a suspension from the Junta de Conciliaci�n (Board of Concliation and Arbitration) for economic reasons. 15. The reform requires adapting workplaces with more than 50 employees for handicapped access. 16. The reform reinforces the provisions that regulate training of workers, with new requirements for evaluating workers and linking training to salary. 17. The reform allows employers to give preference to worker productivity and ability as the primary criteria for advancement and promotion instead of seniority. 18. The reform requires better labor conditions for field workers, with a registration of temporary or seasonal workers, better documentation from the employer to the worker, better benefits, conditions during working hours, and interpreters for workers who do not speak Spanish. 19. The reform improves the conditions of domestic employees. 20. The reform includes in Title Six of the Law a new Chapter for regulating MINE WORKERS. 21. The reform recognizes Telecommuting or telework, using technology for workers working from home. 22. The reform details the free, direct and secret voting on union elections. 23. The reform reinforces the workers' rights to the review the rendering of accounts of the Unions. 24. The reform permits Unions to comply with their obligations electronically. 25. The reform includes express provisions to consider the Union records as Public Information. 26. The reform gives the labor authorities to require the unions to provide all the documents requested in the application process or the application will be voided. 27. The reform eliminates the "cl�usula de exclusi�n por separaci�n" in many of the Union contracts that requires the dismissal of employees that are not Union members. This brings the law in line with Supreme court rulings on the subject. 28. The reform denies a Union to place a company on strike when a strike is already in place. 29. The reform increases the amount of indemnification for the death of a worker from a work accident. The law currently requires a payment of 650 days wages to up to 5,000 days salary depending on the accident and the responsibility of the employer. 30. The reform reinforces health and safety measures in the workplace. It gives greater authority for the Health and Safety inspectors to order the immediate closure of a workplace in case of imminent danger to health, life or the integrity of persons. 31. The reform facilitates the updating of the Table of Occupational Illnesses and and the Valuation of permanent disabilities. 32. The reform extends the jurisdiction of Federal authorities through a new interpretation of "Federal Concession" to include activities of a company under Federal authorization or permit. 33. The reform reinforces the powers and objectives of the National Employment Service for the purpose of proposing and implementing mechanisms to link professional formation with regional priorities. 34. The reform eliminates the Federal Juntas de Conciliaci�n y Arbitraje at the State level. This has the effect of updating the Law with the actual situation in Mexico and eliminates the duplication on the part of the State STPS and Federal STPS. 35. The reform requires a greater incorporation of the concept "conciliation" into the process. During the entire procedure, from beginning to end, the Juntas will attempt to lead the parties to conciliation of conflicts. 36. The reform requires greater educational preparation for public servants involved in the system. It requires a greater educational level for functionaries and parties involved in defense and prosecution. 37. The reform will require a greater degree of professionalism in the labor authorities as well the parties involved. This will require that all the parties involved in the defense of the worker and the employer be licensed Attorneys. 38. The reform will permit the greater use of technology in the process in order to improve the system. 39. This reform modifies the structure of the first hearing in the ordinary procedure to: conciliation, lawsuit, and exceptions and a second hearing for the presentation and admission of evidence. 40. The reform establishes a summary procedure in order to grant social security benefits, Infonavit, and the retirement benefits (AFORE). 41. The reform provides increases in the amounts of fines for notorious delaying tactics such as the "Recurso de Revision" (Review Recourse) or the Complaints dealing with acts of execution (or absence of them). 42. The reform addresses the situation when a strike lasts longer than 60 days with respect to employers that render public services. 43. The reform establishes a relief for third parties to recover possession of their property in the case of a prolonged strike. 44. The reform establishes an additional cause for declaring a strike non existing when the Union does not comply with their own statutes for declaring a strike. 45. The reform establishes a cause for denying the placement on strike when the violations of said contract are not clearly or fully detailed and the form of repairing the violations is not detailed. 46. The reform combats the so called "Contratos de Protecci�n" (protective contracts). more on this to come. 47. The reform establishes new rules for the processing of lawsuits (demandas) for Collective labor contracts. The object being to assure the legitimate representation of the workers. 48. The reform provides that in the collective conflicts of an economic nature, that only a strike suspends the process. 49. The reform details the free, direct and secret vote and recount of votes in strikes. 50. The reform increases the amounts of fines for those that infringe the Federal Labor law that can reach 5,000 times the current general minimum wage in the Federal District. 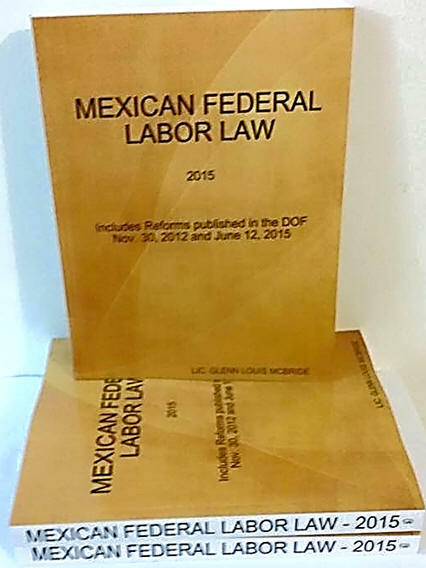 I am working on a complete translation of this reform to over 400 articles of the Federal Labor law and it will be available soon. If you wish to be notified, email me. - All materials on this site are copyright protected, a purchase is a license for the buyer to use the document - distribution, networking is prohibited. - If you are in Mexico, we must charge 11% or 16% IVA as applicable. If your payment originates outside of Mexico, you don't pay IVA.